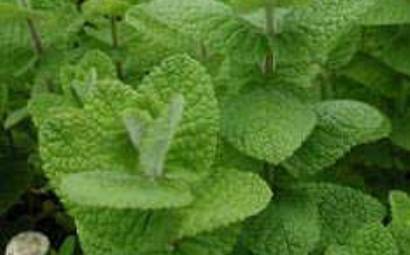 The leaves are wooly and therefore the plant is sometimes called 'Wooly Mint'. They are also round and light green in color. These are the parts of the plant that are put into tea and used in cooking. The stem is reddish-brown in color.